What's Up With The Women of Westeros? We all suffer from major 'Game of Thrones' sepanx! When Game of Thrones Season 5 ended, it left us with not only a major cliffhanger (still in denial, thank you very much), but major sepanx as well. To help us deal with the year-long wait 'til Season 6, here’s what some of our favorite women of Westeros (kfine, and Essos, too, for y’all book readers out there) have been up to since the conclusion of one of the Most Epic Seasons EVERRRR! (Read: Game Of Thrones Fans Lost Themselves After Losing A Heartthrob). Emilia Clarke aka “Dany Can’t Train Her Dragon” giving us major shade. 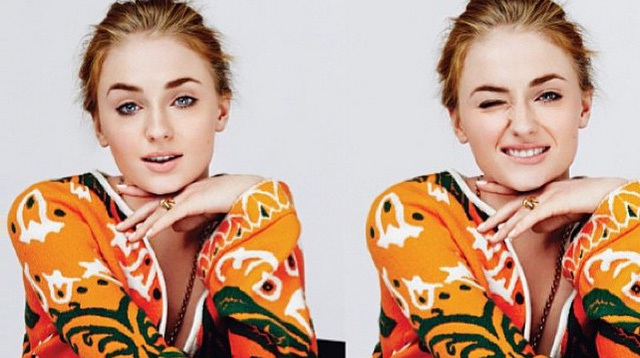 Sophie Turner aka “Sansa I’ve Suffered Too Much” just casually smiling in the pages of Glamour Mexico. Maisie Williams aka “Arya Can't Be No One” treats us with a selfie. Nathalie Emmanuel aka “Missandei I’m Too Smart For Y’all” is a major yoga junkie. Carice van Houten aka “Melisandre I'm Not Really A Witch” is just like the rest of us.